Wild roses belong to the family Rosaceae, the family that has not been cultivated by man. They are widely used in the world; because of the different wild rose species, there are several INCI names for wild rose oil. Rosa Canina is known in Europe as Hunds- or dog rose, its fruits are the rose hips commonly used in cosmetics. Rosa Mosqueta, in turn, is a collective term for various subspecies of the wild rose. Cosmetically, however, all species are considered equivalent. Today, Chile is the largest manufacturer of wild rose oil. 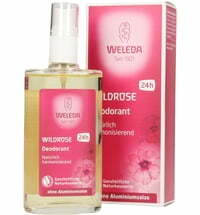 "Wild Rose oils" are often based on other oils that are enriched with essential rose oil to achieve a rosy scent. 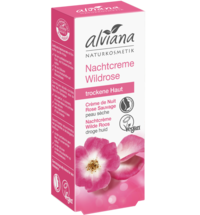 Pure Rosehip Oil, however, does not smell like roses but has a subtle nutty smell. 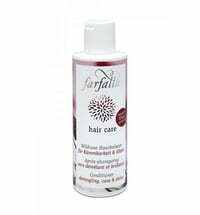 It is a lightweight, quick to absorb oil. It is more supportive than almost any other oil and supports skin regeneration and provides the best care for dry, flaky skin, dark spots and scars. This wonderful oil has strong healing and regenerating properties, promotes collagen production within the connective tissues and maintains the skin's ability to retain moisture. It stimulates cell renewal and is a wonderful face oil for mature, dry or inflamed skin. In aromatherapy, this rose is considered an aphrodisiac, sedative and mitigator in cases of depression. It helps with heartache, sadness and dejection and relieves tension and insomnia.